Wall molding can update the architectural look and feel of a room. EverTrue manufactures crown, base and other types of moldings. These moldings are made in a large range of materials including hardwood, MDF, and even polyurethane. Most homeowners love the look of crown molding and base molding. Because of this, these types of moldings are some of the most common types of molding installed in homes. Installing EverTrue crown or baseboard moldings in your home is easy when you know the basics of installing molding. Measure the wall where the EverTrue baseboard or crown molding is to be installed. 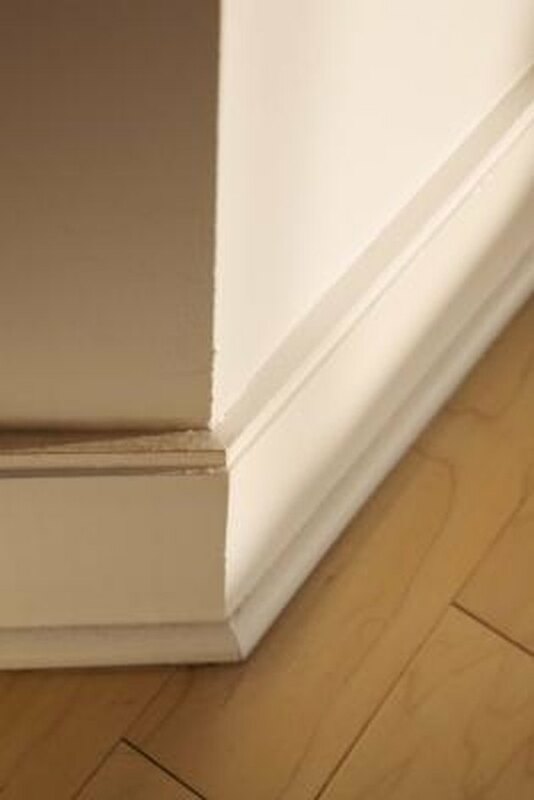 Mark these measurements on the baseboard or crown molding with a pencil. Set the molding on the miter saw. Baseboard molding can be cut laying flat on the saw table while crown molding must be set upside down on the saw with the top of the molding on the table and the bottom of the molding on the saw fence. Adjust the saw to a 45 degree angle to make the corner cuts on both the baseboard and crown molding. Nail the cut pieces of molding into place on the wall with a nail gun. Continue measuring, cutting and nailing the molding in place until you are finished. Fill the nail holes with wood putty. Caulk the gap between the wall and the molding. Allow the caulk and putty to dry overnight. Paint or stain the Evertrue crown or baseboard molding.